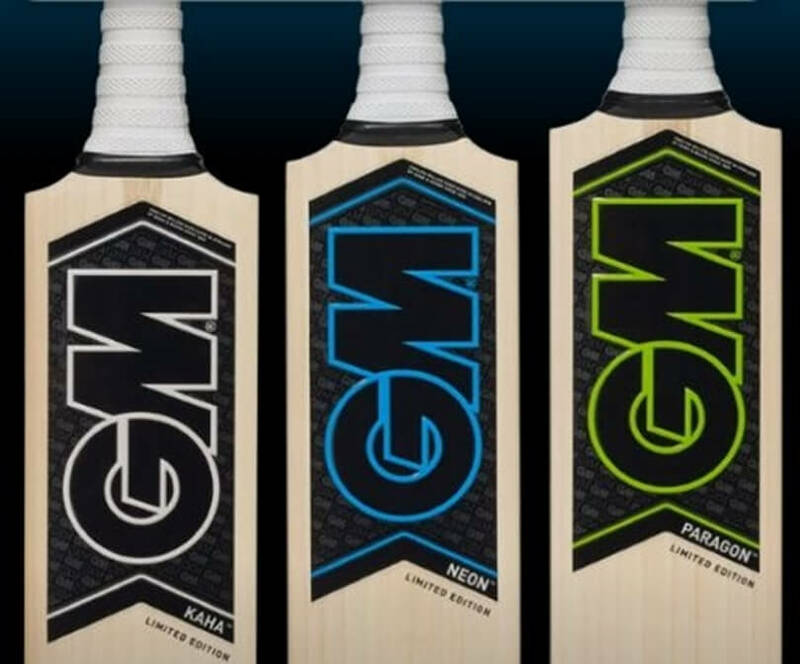 GM bats engineering team has made some changes to their blade lengths for Men's English Willow Bats for 2017 cricket bats range. 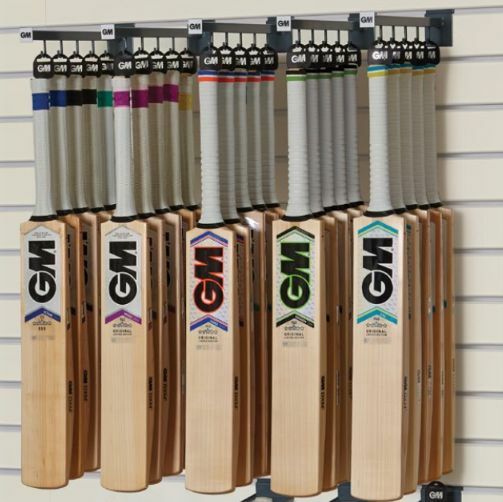 You will notice on our website that we have some technical terms added to the GM bats description. We thought it might be a good idea to explain the changes and meanings of the terms to our visitors so they can make an informed decision before purchasing the bats. There are three different kind of blades introduced by GM this year. Before we get into blade sizes let's talk about the sweet spot of the bat. Sweet Spot is the part of the bat which provides the maximum ping and faster travel speed to the ball once hit from that area or zone of the bat. GM terms it as the exit velocity of the ball, this area maximizes the stroke play and batsmen would always like to hit the ball in that zone to get maximum benfit out of their strokes in terms of boundaries (4's & 6's). While striking the ball the collision causes the bat to vibrate creating ripple effect of waves as the bat reacts to the striking force. These waves (or nodes of vibration) have static points (nodes) at fixed positions along the bat. A ball hitting a vibrational node does not excite that mode of vibration thereby losing less energy, the ball goes further and the jarring sensation is decreased or not noticeable in the strikers hands. The “sweet spot” is also a function of the Centre of Percussion (COP). Hitting near the toe causes the handle to move forward and an impact near the handle pushes the handle back. Hitting at the COP causes no movement to the handle in either direction, less energy is transferred to the player’s hands, more energy is transferred to the ball. By engineering shorter blade designs, the COP and the vibrational nodes can be closer together creating a larger “sweet spot”. The longer handle allows for changes in grip position affecting the swing weight and speed of the bat when held closer to or further from the center of gravity. GM 2017 Men’s bats feature three different blade lengths – L555/540/525. Each blade shape is optimized for a specific blade length. As blade length decreases, handle length increases so that the overall length of the bat remains constant. Shorter blades allow for faster hands through the ball, larger sweet spots and swells, supreme balance and explosive power. Here are the latest bats with the different blade lengths. Gunn & Moore Kaha bat has L525 blade, it is super short length blade compared to all, and is suitable for T20 games. Hope this helps in understanding the terms used in our latest GM bats descriptions and help you pick the bat of your choice for batting practice or playing at competitive level.